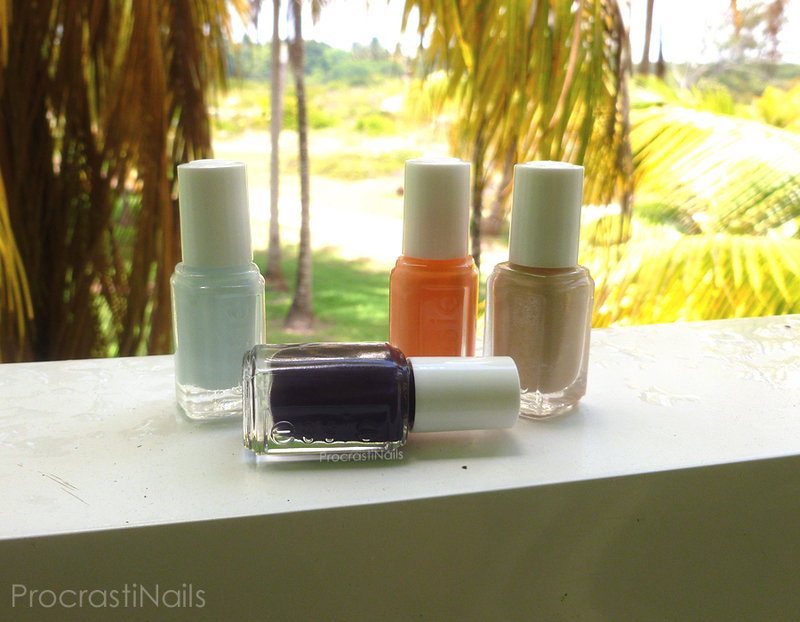 The Essie 2014 Resort Collection! Find Me An Oasis, Under the Twilight, Resort Fling and Cocktails & Coconuts! The fact that I swatched it on Nadine's nails instead of my own! Ouuuu~! Haha. :) She was a really good sport and sat through my polish-cleanup-photograph process for a good couple of hours. I just can't get over her nubbins - I love them!! 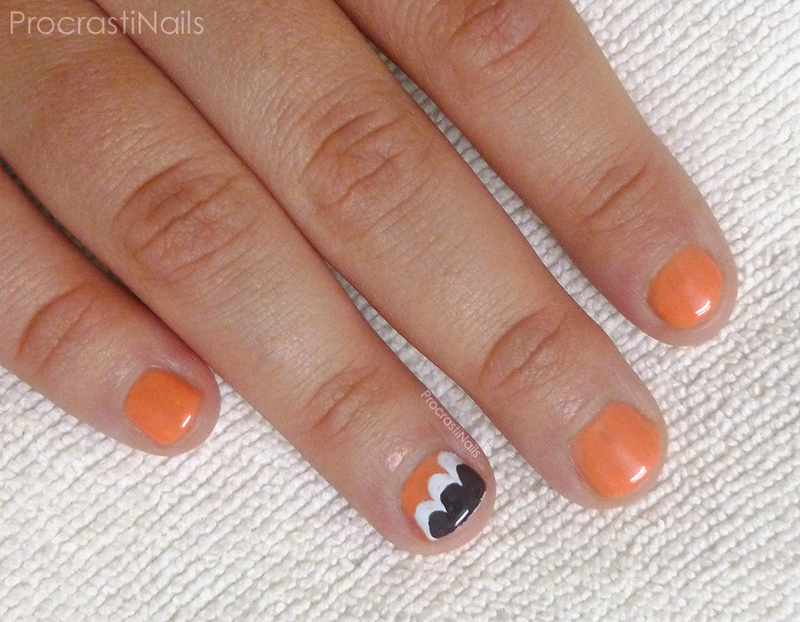 If my nails looked this good when they were short I totally wouldn't mind breaking a nail from time to time. Enough talking, on to the swatches! Find Me An Oasis is described as a "refreshing ice blue," and random fact: this is actually the exact shade of the walls in my apartment. 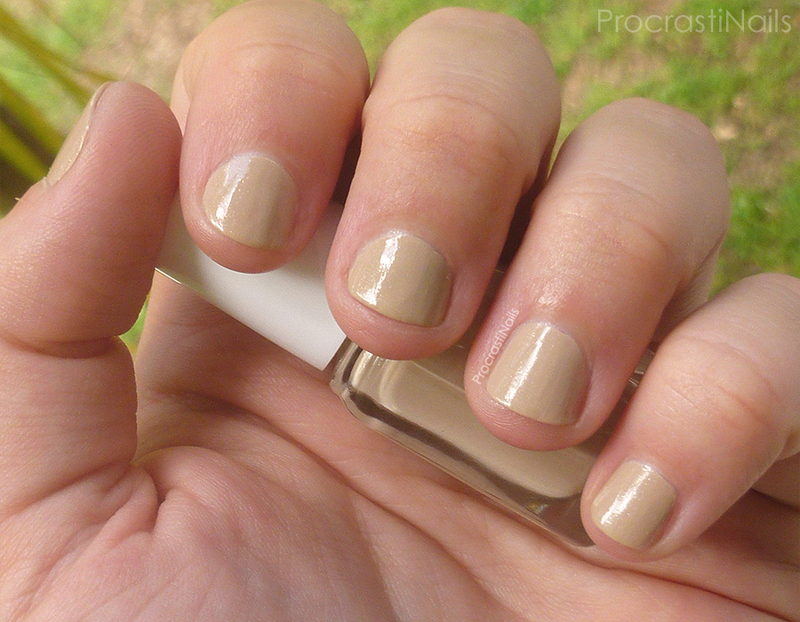 (I actually tested it by painting the polish on my wall - perfect match!) This was one of Nadine's favourites, so much that she went and bought a bottle for herself as soon as we got home! She felt it was the perfect shade for showing off a tan. :) This lovely creme polish took three coats to build up full coverage without streaks. 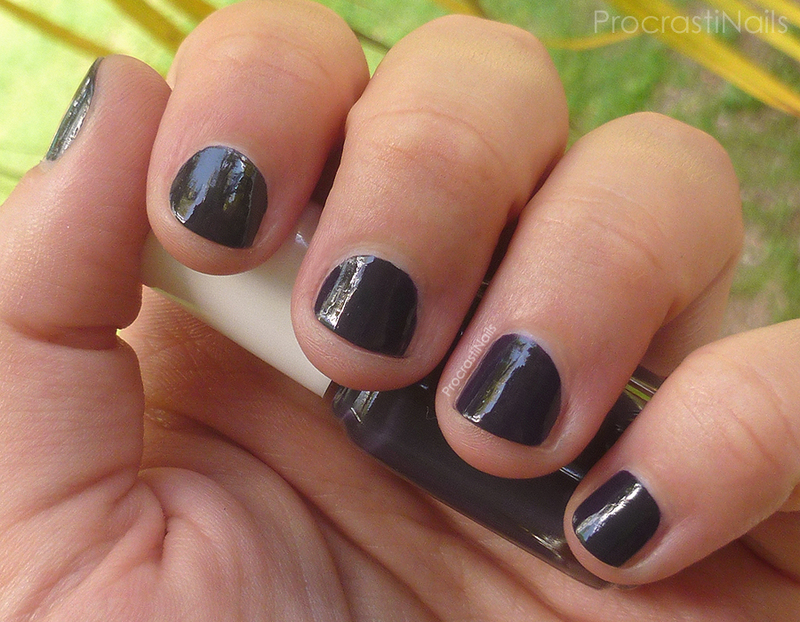 Under the Twilight is described as a "provacative smokey plum" though I would describe it more as a deep midnight purple creme. This is one that appears to lean more blue or purple depending on the light and angle. It took three coats to build it up, though you would be fine with two in a pinch. This was actually the polish in this set closest to Nadine's normal polish colour palette, so it shows you how much of a surprise it was that she liked Find Me An Oasis! 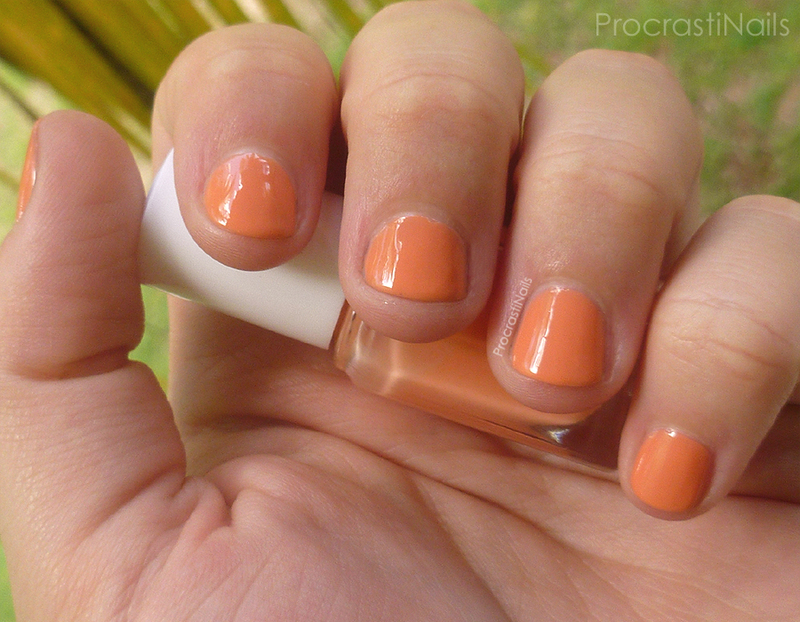 Resort Fling is a fun and flirty soft orange that's described officially as an "alluring coral peach." 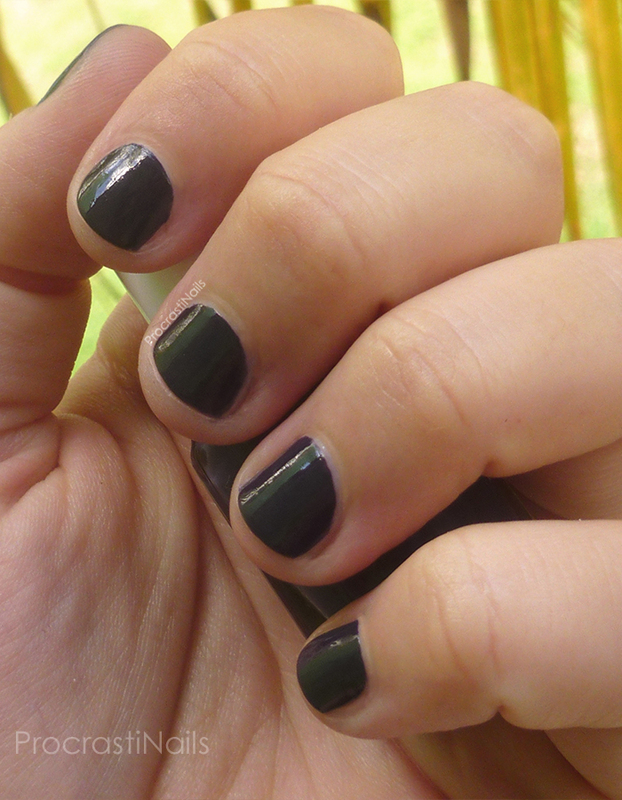 This isn't really my colour, though it was another of Nadine's favourites. It surprised me to find out this polish was a crelly - it took 4 coats to build it up. 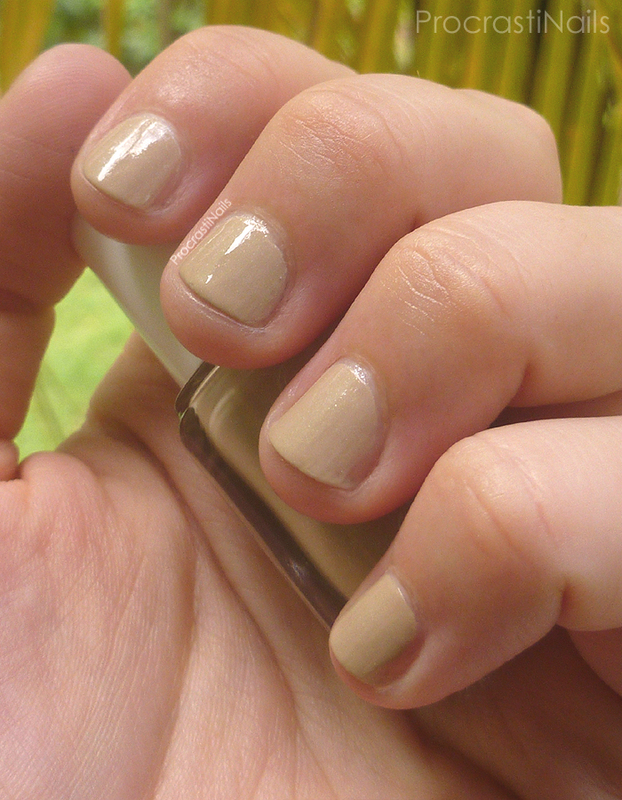 Cocktails and Coconuts is the last shade in this collection and it's described as a "subtle, shimmering warm sand." I didn't notice until Nadine pointed it out but there's a very subtle silver shimmer throughout this polish. Huh! This was another three-coater, though you could probably get away with two. A surprising thing for me was how much shine these polishes had... As you might know I don't swatch with top coat (and this was no exception), and look at the gloss that came through in these polishes! Lovely! I also found some nail art I forgot we did while we were there. Since it used colours from this collection I thought I would tag it on to the end of this post. 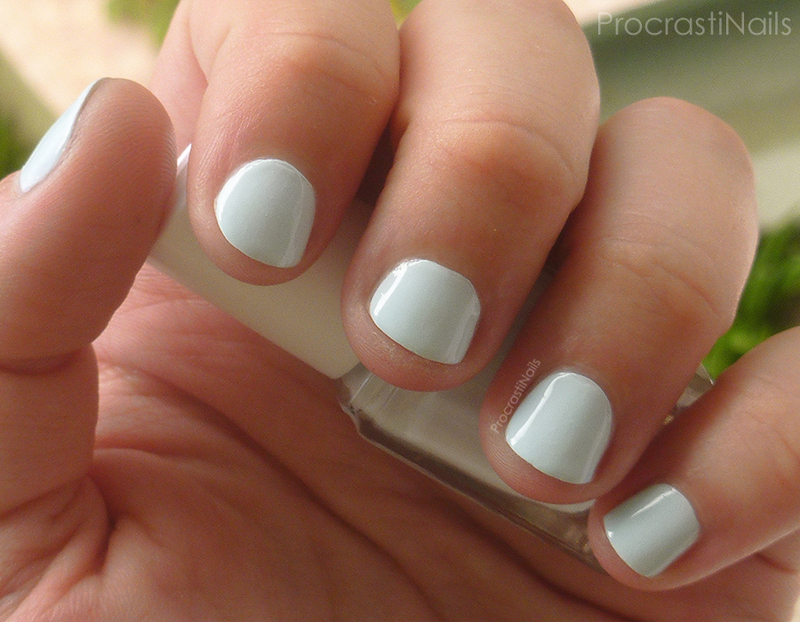 :) You can never go wrong with a simple cloud accent nail! And it shows how well the shades in this collection work together. Did you pick this collection up for yourself when it came out? Do any of them match your walls (haha)? Let me know! 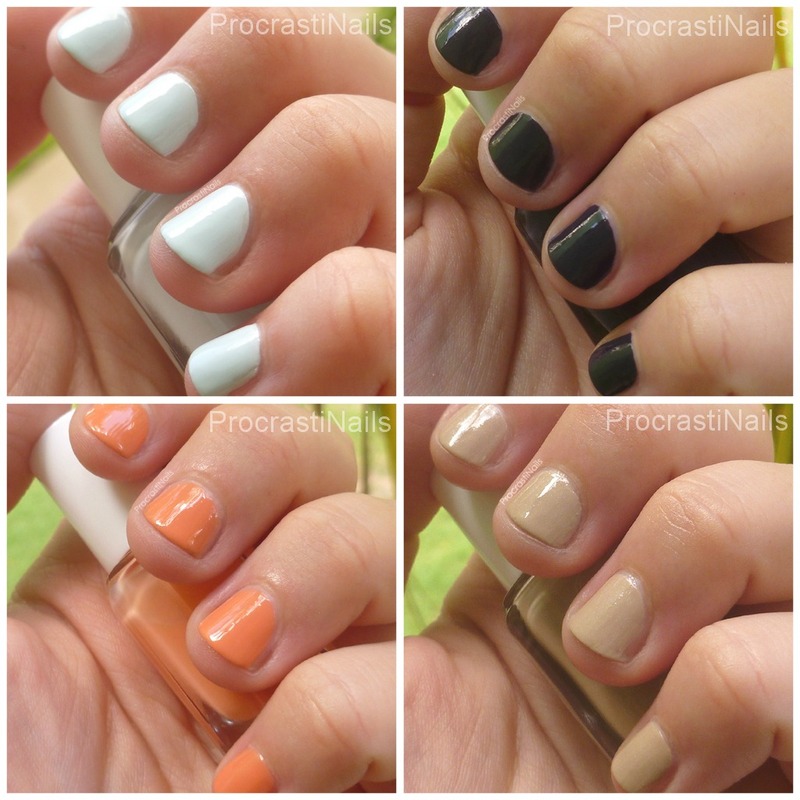 These are pretty shades! I'm really liking Resort Fling the most here.